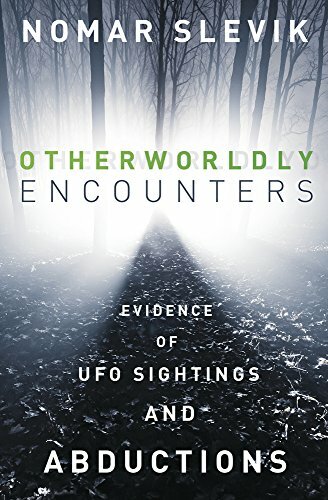 Otherworldly Encounters gives voluminous antidotal evidence of aliens among us. From mysterious flying objects to face-to-face encounters with aliens, this book has it all. Focusing on the author’s experience as the Maine State Director of MUFON (Mutual UFO Network, it reports claims from 1645-2017. The book has a few photos but frequently references online sources. It also mentions Hanger 1 on the History Channel produced by MUFON. Otherworldly Encounters definitely will make the reader think. It is a good compilation of short UFO accounts that can be researched further online. Bottom line: I assume that our government is hiding many things from its citizens. There has to be a reason that every president’s hair goes white almost immediately after taking office regardless of their age. Look at Obama! Is it aliens? Is it stealth weaponry? Is it time travelers from our future after nuclear winter has enlarged their eyes and made their skin gray? Are Hollywood movies, like Men in Black and Close Encounters, made intentionally to confuse the actual sightings that are reported with fiction? Probably many, if not all, are true. You owe it to yourself to read this book if you believe in the possibility of even one being true. Just to see the overwhelmingly similarity of the accounts. 4 stars! Thanks to Llewellyn Publications and NetGalley for an advanced copy.